This TCI lawyer offers sound advice to potential condominium owners. 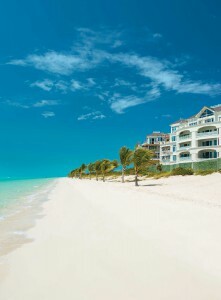 Visitors to the Turks & Caicos Islands quite often stay in a condominium resort on Grace Bay Beach. Most condominium properties are less than twenty years old and were built in a thriving economy; both the quality of the product and the amenities offered are perceived as excellent. The condominium market in Providenciales has sprung back into business with a nearly 600% increase in sales in 2014 from the market’s “bottom” in 2009. As more buyers enter the market, it pays to be a savvy investor. A stroll along Grace Bay Beach, winner of numerous accolades as “the most beautiful beach in the world,” is the opportunity to view a variety of condominium resort properties. Anchored by the trendy Gansevoort Turks + Caicos at the beach’s western end, nearly twenty condominium resorts spread along the beach to The Venetian at its eastern end. Each is unique in architecture and personality, yet all offer upscale accommodations and sophisticated charm. While the first decade of the millennium saw a boom in construction of beachfront condominiums here, with a tremendous pre-sales and after-sales market, development is evolving with the addition of “back from the beach” properties, as well as beachfront options in other areas of the island, such as The Shore Club on Long Bay Beach. Condominium, or more correctly, “strata lot” ownership is increasingly popular in the Turks & Caicos Islands, presenting fewer responsibilities than a traditional stand-alone home. Generally, a strata lot owner is only directly responsible for interior maintenance and for paying monthly strata fees. Insurance, external repair and redecoration, pool and grounds maintenance responsibilities and the like are shifted from owner to management. Additionally, management may administer rentals, though for an extra fee. However, as with any big transaction, due diligence is recommended before deciding to buy. A newly constructed strata lot (condominium) is desirable, and may have incentives, but there may be construction issues during initial ownership. A re-sale strata lot should have a track record that can be investigated, but also may have increased maintenance requirements. A structural survey of a new or re-sale strata lot can provide peace of mind. Be sure you read and understand strata by-laws. Rules and regulations written into strata bylaws may seem restrictive, but can encourage good standards for the benefit of all owners. Typically, noise is reduced by requiring fitted carpets and auditory restrictions during night hours. Often, businesses and trades are prohibited. Bylaws may restrict or even prohibit pets. The new Shore Club is well under construction on Long Bay Beach. On-going monthly contributions towards maintenance, etc., may seem burdensome, especially as buildings age and require more upkeep. However, don’t forget that an owner of a standalone home is solely responsible for upkeep, whereas strata lot owners may share responsibility and together accumulate reserves over time. An accumulated reserve is known as a “sinking fund.” A sinking fund spreads out payment for capital replacement projects over time and between all owners. If a development is extravagantly maintained, ongoing contributions may seem excessive; but if poorly maintained, a development may be less desirable and so reflect badly on re-sale values and rentals. Look for an acceptable balance. Find out if the development is obliged to buy in facilities for the benefit for owners, say use of a swimming pool or parking area. The owner of the pool or parking may have the ability to increase contributions unreasonably. Ask about upcoming costs, say for the elevator or roof, as immediate and unexpected owner contributions can be required unless an adequate sinking fund has accumulated. A survey may assist with determining likely upcoming contributions. If buying a re-sale, investigate accounts for the last three years for: a sinking fund, non-contributions, and financial health, generally. Missing contributions may indicate vacant units or discord among existing owners; such may affect desirability of the development. Non-contributions may have to be made good by other owners. This is unfair, but may be the only practical solution for essential outgoings. Understand how and when maintenance charges can increase. Try to find out maintenance charges for similar developments for comparison purposes. Check that insurance premiums are reasonable and there is adequate cover (including strata lot and contents); be aware of any exclusions and deductibles. In case of a catastrophe, management should be obliged to reinstate the development (and so each strata lot), within a reasonable period of time, using insurance proceeds. A strata lot owner becomes a shareholder in the strata corporation for the development. The strata corporation controls, manages, and administers through an executive committee, but matters are often delegated to a professional management company. Charges of a professional management company will be reflected in monthly contributions. Residence of many owners in the development is generally (but not always) an indicator of a well-run operation. Check how active owners are. For small developments, all owners should be executive committee members. For larger developments, individual executive committee involvement may prove unnecessary. You may, or may not, want to stand for election to an executive committee. Talk to current owners and occupiers to discover positives and negatives. Ask how effective management is. Values in a neglected development may not appreciate as desired, or may even depreciate. The more knowledge a purchaser has, the more confident he or she may be about successful strata lot ownership. This information is to help you better understand a Turks & Caicos Islands strata lot. However, please do not use this article as a substitute for professional legal advice. Before proceeding with any real estate transaction, you are advised to instruct an attorney. If you have any queries, Neil Molyneux and the team of attorneys at Graham Thompson are happy to help. Neil Molyneux is an associate with Graham Thompson, is called to the Turks and Caicos Bar, was called to the Bermuda Bar in 2009 and admitted as a Solicitor in England and Wales in 1994. Neil has over 20 years legal experience in all aspects of real estate and most recently in high end residential real estate acquisitions, in the second home market, particularly for private clients from North and South America. He can be reached at 649 339 4130 or at nrm@gtclaw.com.